This Somatic EMDR Workshop — taught by Barb Maiberger, MA, LPC and Katie Asmus, MA, LPC, BMP — is designed to help EMDR therapists understand the unique importance of EMDR readiness when working with Complex PTSD. Over the years, we have witnessed therapists struggling to resource their clients with “Safe Place” which is an essential skill for EMDR therapy. Clients who have experienced neglect, abandonment, abuse in their early stages of development may have a limited capacity to tolerate emotions and body sensations. Trying to apply the EMDR therapy trauma protocol with clients with Complex PTSD too soon can lead clients to dissociate, shut down treatment and never want to do EMDR therapy ever again. Slowing down the preparation phase and integrating creative multifaceted approaches is key to implementing EMDR therapy successfully with Complex PTSD. Somatic and other sensory resourcing tools are explored to help clients feel more in control allowing them to deepen their connection to the body while staying present in a safe way. When clients develop a better sense of control around their distress, treatment can proceed in a gentler way. Recognizing the importance of bringing the body into the healing process when working with Complex PTSD. Finding alternative safe places by using visual, auditory, or kinesthetic approaches to meet the client where they are best served in the preparation phase. Learning how to integrate pendulation interventions to slow down the experience for the client so they can tolerate emotions and body sensations in a safe way. Building safety for the client by helping them feel more in control and decrease the need to dissociate. Recognize the differences between PTSD and Complex PTSD. Identify signs and symptoms of PTSD and Complex PTSD. Recognize the importance of bringing the body into the healing process for Complex PTSD. Practice body awareness intervention that supports client’s affect tolerance. Demonstrate a resourcing intervention for clients who are visual dominate processor’s. Practice a resourcing intervention for clients who are kinesthetic dominate processor’s. Demonstrate a resourcing intervention that for clients who are auditory dominate processor’s. Describe the signs and symptoms of dissociation. 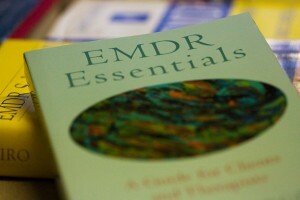 Assess when it’s appropriate to prepare clients more for the EMDR therapy trauma protocol. Demonstrate a pendulation intervention to increase client’s capacity for dual awareness. Illustrate a RDI pendulation technique to resource an unresourced moment for a client with Complex PTSD. Describe a pendulation intervention to slow down the Desensitization Phase in EMDR therapy.